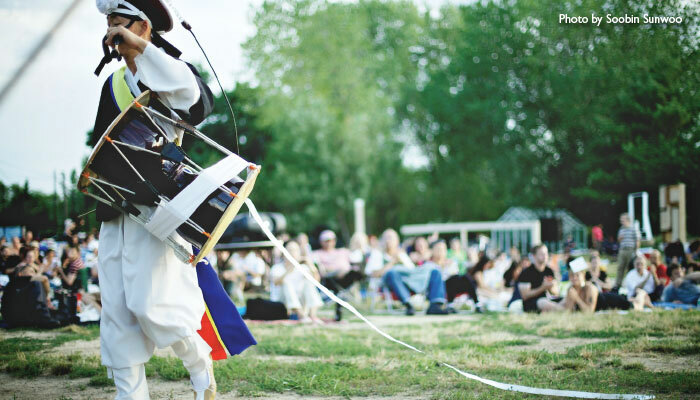 VP Korean Drum and Dacne Troupe brings out the authentic pungmul form - the composition of instruments, costumes, jinpuri (choreography) – buponori (feather attached hat) and seoljanggu. Seol means “first” like the first violinist in an orchestra. 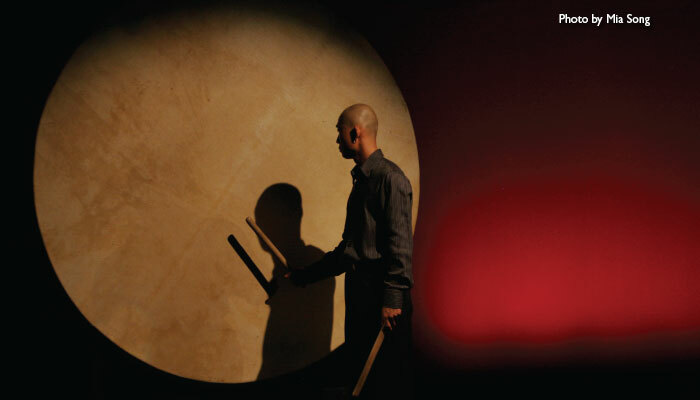 Janggu is a traditional Korean percussion instrument, which has a distinctive hourglass shape. The drum’s shape gives it two different tones, bass and treble. There are two variations of Seoljanggu. The first is played by a virtuoso (which is another meaning of Seol) who also dances with Sangmo, which is a hat with the string which has a long ribbon attached to it. The seoljanggu performance showing how it coordinates breathing, beat and movement through the performance as well as the visualize effect of the dynamic energy materialized through the movement of the sangmo dance. 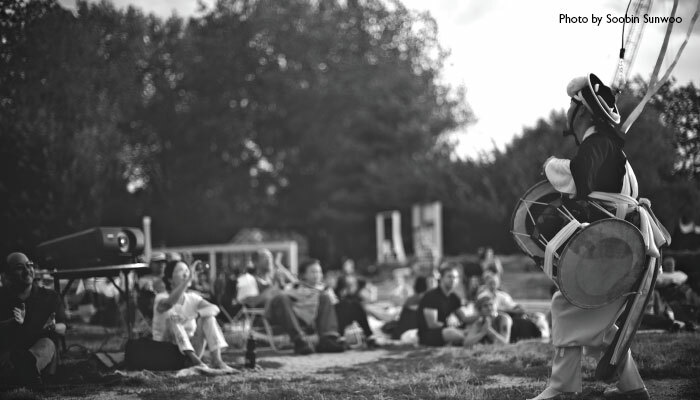 The second is performed in a sitting position by four or more drummers. Both variations demonstrate the Janggu’s various rhythms. 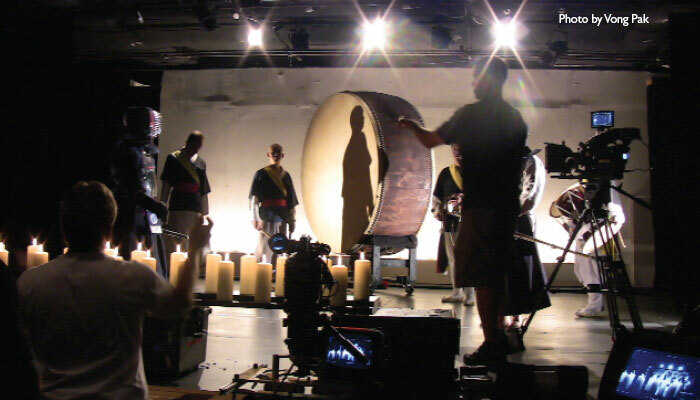 Samulnori is a Korean Traditional Drum and Gong Ensemble. 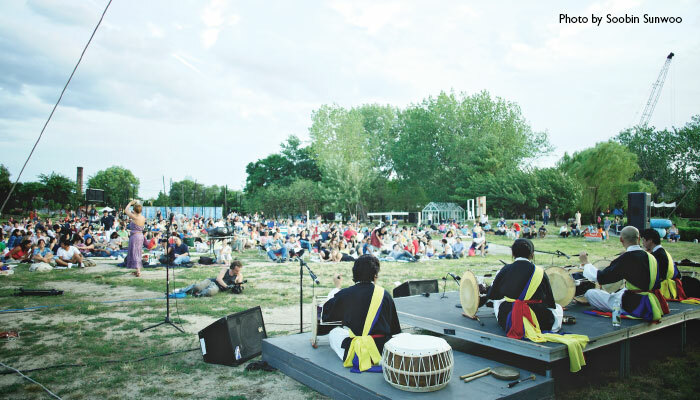 Samulnori came from Pungmul, which is traditionally an outdoor performance of Korean folk music in which dances, songs, and dramas are intermingled. Samulnori is a contemporary style of pungmul, however, it can be performed indoors as well as outdoors. 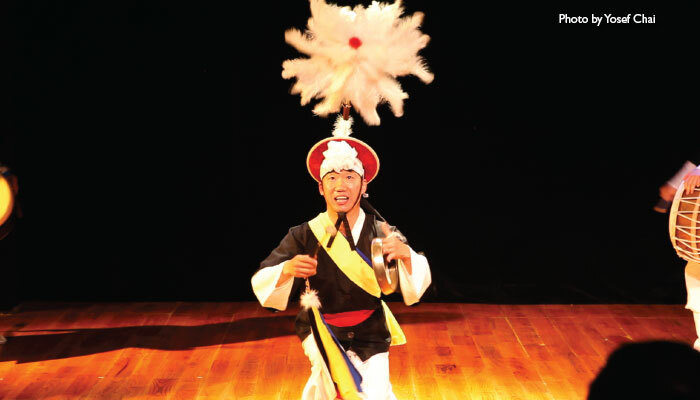 VongPak’s Korean Drum & Dance Troupe plays Youngnam Garack, Uttari Pungmul and Samdo Samulnori. Youngnam Garack is a repertory of the Samulnori. Youngnam Garak, from the southeastern region of Korea is characterized by the buk’s (a bass toned barrel drum) more developed rhythms. Uttari Poongmul is rhythmic patterns of Choongchung and Kyunggi province area in Korea. The rhythm is mixed duple and triple meters. Especially, the end of the Uttari Pungmul, two kwaenggri(small gong) players’ rhythymic dialogue is the distinguishable characteristic.